In a 4,300 square-foot warehouse near the Las Vegas strip, thousands of dolls with facial scruff, orange glasses, bow ties and suspenders sit in neatly stacked boxes, waiting to be mailed to young children. John's main revenue stream is YouTube ads, but his growing business also brings in money from licensing, album sales, branded clothing, meet-and-greets and merchandise. In addition to the cheerful 19-inch tall dolls, which cost $19.99 each, he sells Blippi action figures and mini versions of his signature bow tie and hat for kids. YouTube has created an industry of micro-celebrities, called "creators," who have parlayed low-budget videos into lucrative brands. While they were drawn in by (and stay for) the regular payouts from YouTube's advertising program, many have found additional ways to capitalize on their unique fame. They charge fans to meet in person, sell clothing, and get paid to drop brand names and products in their videos. The creator of animated character Lucas the Spider recently made more than a million dollars in 18 days selling adorable stuffed versions of the arachnid. 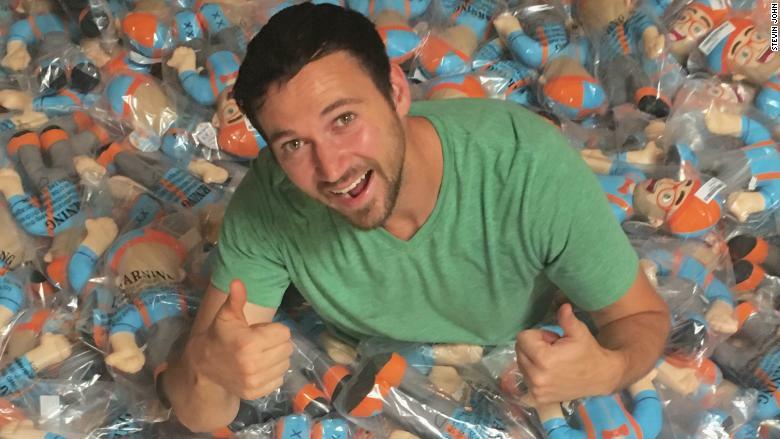 YouTube creator Stevin John with his Blippi dolls. YouTube says the number of creators making five figures annually is up 35% this year, and the number of creators making six figures went up 40%. (It won't say how many creators it's tracking for those statistics.) The vast majority of their revenue is still from ads, according to Google, but it's far from the only big income stream. YouTube has launched a number of its own services to help creators with their various side-hustles while making some money for itself in the process. In June, it announced a partnership with Teespring for popular creators to sell branded t-shirts, mugs, and even leggings directly from their YouTube page. There's also a $4.99 a month fan-club-like membership option for creators with 100,000 subscribers, from which YouTube gets a 30% cut. "My job was to figure out how can we basically turbo-charge what creators are doing," says Rohit Dhawan, who is in charge of "alternative monetization" at YouTube. One of the biggest alternative money makers is brand deals, which can match or surpass ad revenue. 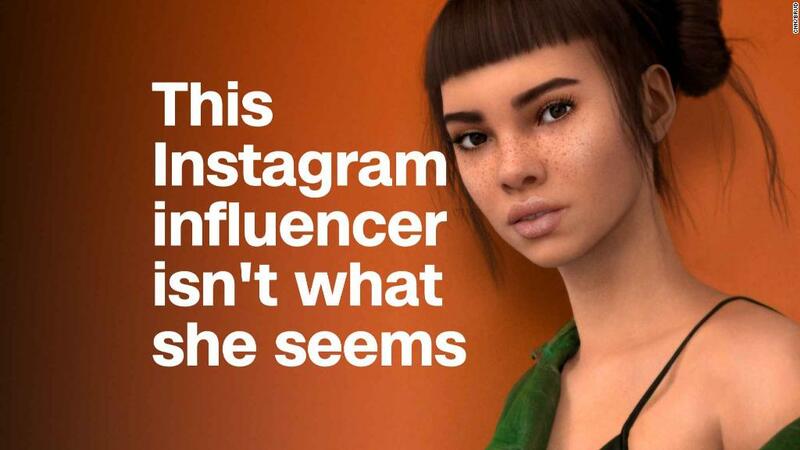 Revenue from brand deals can range from hundreds of dollars to hundreds of thousands of dollars per video, according to Ryan Detert, the CEO of Influential, a company that matches brands with influencers. It depends on factors such as number of followers, exclusivity, in-person appearances, and if the videos can be used in other places. The deals happen directly, on services like Influencer, or even through agencies. When YouTube noticed how many creators were working with brands in 2016, it acquired a company called FameBit, which helps brands find and pay creators. Brent Rivera, a 20-year-old YouTube creator with a strong jawline, a wide smile and 4.2 million subscribers, earns "upper-six to low-seven figures" annually for his skit series and social presence, thanks largely to brand deals. He recently completed a marketing deal with Pop Tarts that included six commercial spots and four YouTube and Instagram videos. "I'm brand friendly," says Rivera. "[Pop Tarts] told me the reason I'm working with them is because of the cleanliness of my content." 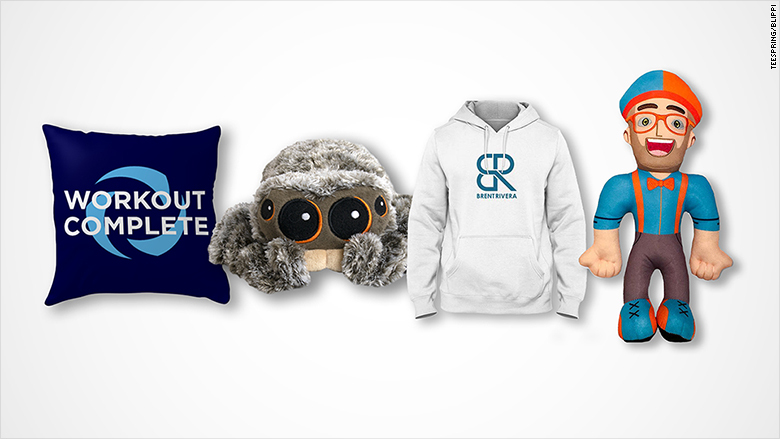 YouTube creators make money off of custom merchandize like plush dolls and clothing. He recently landed a an acting part on an upcoming Hulu show and also sells clothing, including a $44.95 hoodie emblazoned with his initials -- it's his top seller. His newest venture is an incubator that teaches up-and-coming creators how to grow their audience and organize a promotional tour. In exchange, he gets percentage of their future deals. Blippi's John works with some brands but says he is picky because he feels protective of his young viewers. Instead, the 30-year-old's biggest projects are around licensing. His episodes are now on Amazon and Roku, and he's working on an educational app. There's also a deal with K-Swiss to sell a replica of Blippi's shoes in Footlocker at the end of this year, and another for Blippi-branded push bikes, scooters and other outdoor gear for kids from Westridge. "It's cool that its all aligning with the brand and I don't have to sell out," says John. Fans will spend money just to interact more with their YouTube faves in real life. Look no further than the chaos at TanaCon, a conference in Orange County featuring Q&As with creators that was shut down before it could start, after thousands more people showed up than the space was zoned to handle. Tickets ranged from $1 for general admission to $65 for private meet-ups. The largest event is VidCon, which is thrown in Los Angeles each year, but creators also do their own appearances around the world. Fans might pay $50 to $100 per ticket, or even $200 to $500 for VIP passes that include face time with the creators, says Detert. Some creators band together for events like the teen- and tween-friendly Digi Tour or MagCon tour (Mag stands for meet and greet). Detert says attendees are often screaming and "losing their mind" over the social media stars. After five years of meet-and-greets, John says Blippi has become too popular for one-on-one events -- his last gathering drew 3,000 people. Now he's in negotiations to do live shows. However, author Amy Shira Teitel, who hosts educational YouTube series on the history of space flight and does regular speaking engagements, says her brand offers aren't huge money makers. She notes she has more luck with tools like Patreon and YouTube's new memberships feature, which asks fans to pay for exclusive content like updates on her next book and members-only chats. But Teitel, who makes most of her money from book deals and public speaking, says she's content with YouTube being just a part of her career. "I've never wanted to do YouTube full time," says Teitel. "What I do for a living did not exist five years ago and might not exist in five years. The idea of solely relying on the whims of people on the internet. I can't deal with that inconsistency."